then you flipped the switch. You turned on the show. like the fireworks flying on the 4th of July. like the sunshine blazing in the summertime. You're bringing me back to life. Baby, when you look at me like that. Baby, you light me up. Oh, you light me up. All the dark days left when you came to me. 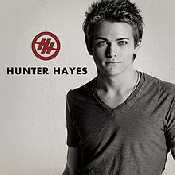 Ampliar Canción Light Me Up de Hunter Hayes .